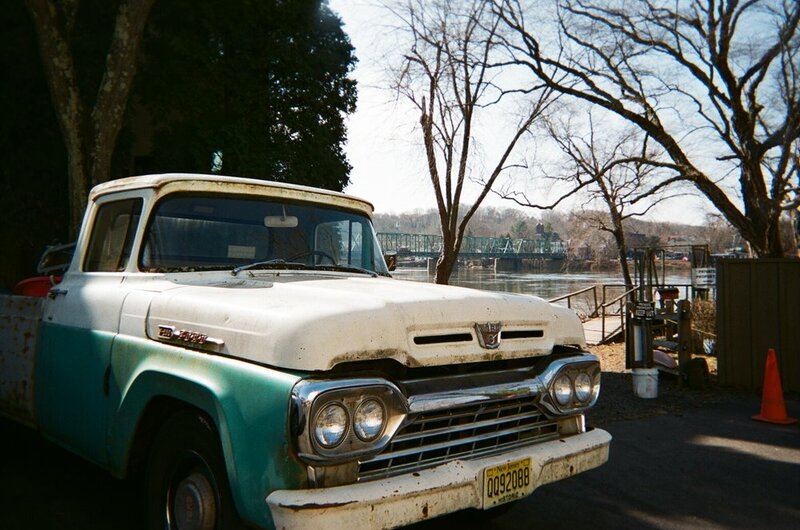 We sent John Andrews, one of our favorite songwriters, a disposable camera. There was no assignment, no intention, and no boundary. John captured a roll of exposures the week before his last solo performance of Yawns material for the foreseeable future happening February 24th at Union Pool in Brooklyn opening the Olden Yolk record release show. John's latest record, Bad Posture, is also slated for a cassette reissue available soon on Marriage Recs. 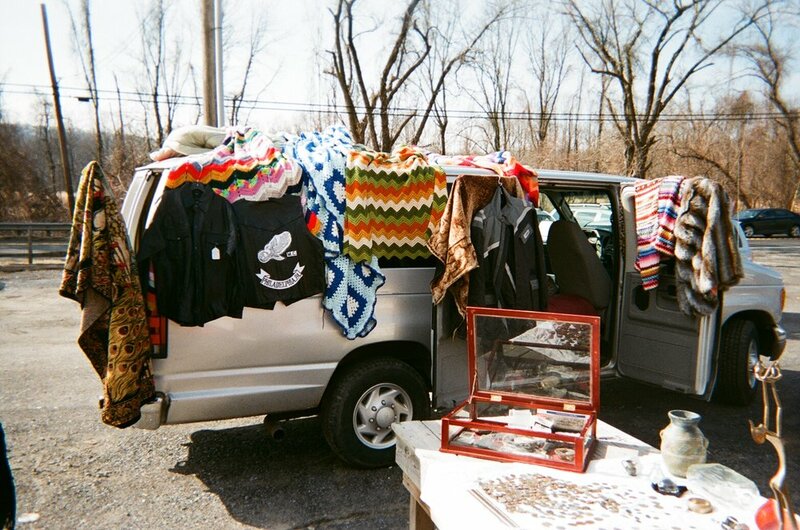 The past 3 months I've been living in my hometown, Yardville, NJ. I've been working as a framer in Princeton, NJ but just recently put in my time there because I'm leaving for a three month tour with Hand Habits & Cut Worms, respectively. This is the corner of my bedroom where I write a lot of songs. I recently joined a country cover band for a Valentine's Day show & have been practicing a lot of country licks here. This is my messy desk. When I'm not feeling inspired musically I work on hand painted animations. This is a still from a short commercial I made for NYC venue called Mrmrr. I'm currently working on a short animation for Cut Worms. 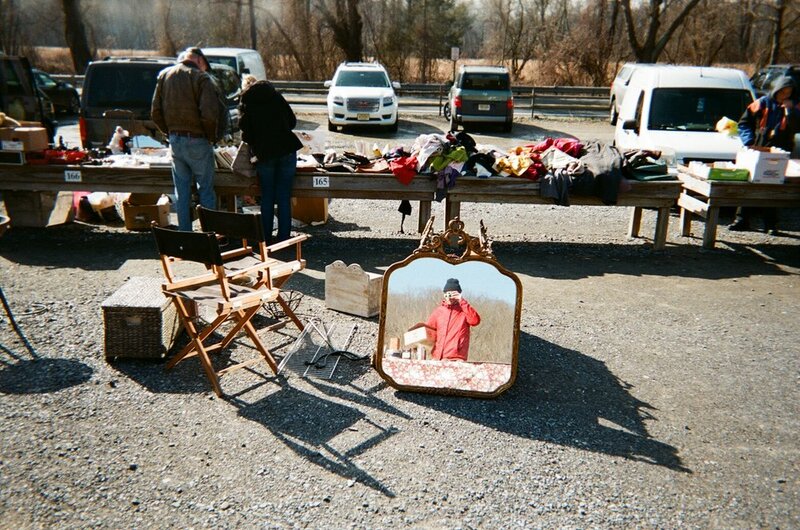 It was a pretty nice day so I took a break from animations and drove to my favorite Flea Market, The Golden Nugget in Lambertville, NJ. I've been working at a frame shop these days so my eyes are always drawn to those pretty antique moldings. I drove to the Lambertille/New Hope area to walk around. The towns are old and witchy and divided by the Delaware river. The architecture at times reminds me of New Orleans/Savannah. This is John & Peters...my favorite bar/venue in my area. It's where Michael Hurley & The Holy Modal Rounders started playing their first gigs. It kinda looks like it belongs in a Michael Hurley painting to be honest. The Delaware. George Washington crossed it Christmas day. I go tubing down it drinking beers in the summer. Lots of old cars hanging around the area. The Hibbs House in Washington Crossing State Park. This area used to be known as Taylorsville, PA and has become this mini ghost town saved by the historical society. Every Christmas morning they reenact Washington Crossing the Delaware. 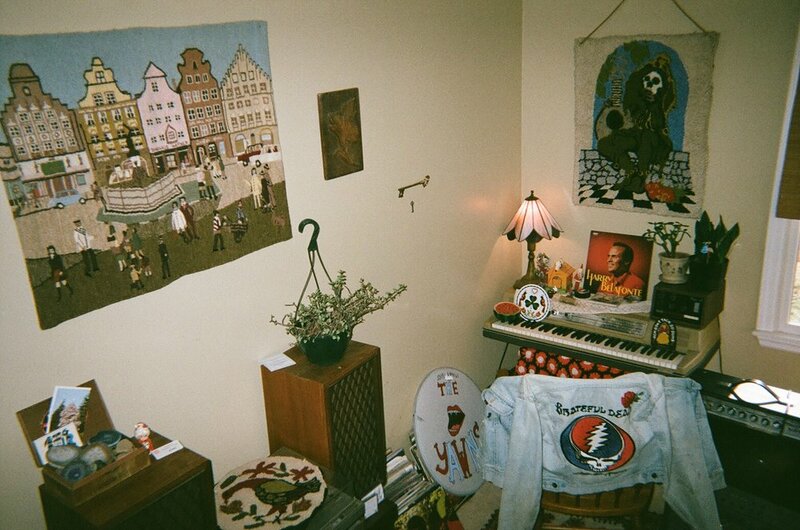 Purchase John Andrews & The Yawns' latest record, Bad Posture, out now via Woodsist. Purchase tickets to the show at Union Pool. Find the upcoming Hand Habits tour dates here. Find the upcoming Cut Worms tour dates here.